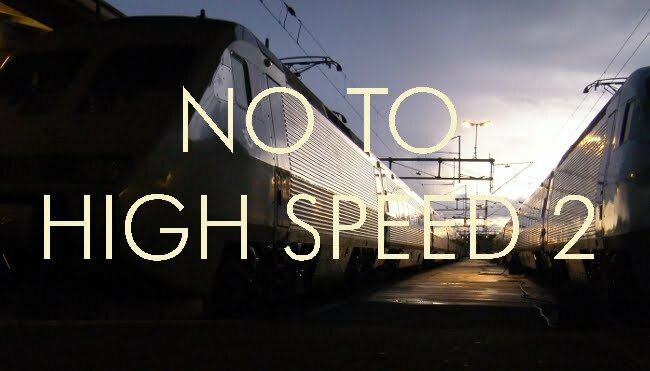 At last, an increasing number of politicians and commentators are coming out against HS2, essentially for the reasons which have been repeatedly stated in this blog. The NIMBY lobby as at last lost its dominance in the debate to those who are arguing the real economic case against the scheme. It is not that the country cannot afford it. The scheme is just a bad way of spending the pot of money. Some of the opposition is from the roads lobby, which wants a share of the cake. The sad thing is that nobody has even now come up with costings for what is really needed to increase the capacity of the railway infrastructure, which would be a combination of upgrades of existing routes and the construction of some new conventional-speed routes, essentially on the alignment of HS2, which at the southern end is mostly on the former Great Central route, but with a lot of expensive straightening-out to cater for the higher speeds. With a conventional speed railway, this new construction becomes largely a matter of replacing the track on the old trackbed, electrifying and installing an ERTMS signalling system. That is a far more cost-effective proposition than HS2. At least one report has said that HS2 would increase economic activity in the North of England. However, contrary to this, the fundamental economics is that good transport links promote production and employment at the center of an economic area. Simply because, as the center is the place that is geographically the closest to all other places, it benefits the most from the efficient aggregation of the factors used in production and the efficient transportation of the finished products. Local production and local employment are reduced at the periphery as goods are efficiently mass produced at low cost at the center and then transported to the periphery. To illustrate the principle it is useful to consider a hypothetical extreme case. If there were no transport links between Scotland and England there would be less unemployment in Scotland, not more, as it would have to be self-sufficient in the goods and services it imports from England. At least one government report has stated that HS2 would promote economic activity in the North. However contrary to that, the basic economic principle is that good transport links promote production at the center of an economic area, by the nature of it being the geographic place that is nearest to all other places. Resulting in finished prices , lower than those achieved at production at the periphery - as transportation gathers the raw materials of production at the center and and then transports the finished goods to the periphery.